Joel Edgerton is not your run-of-the-mill stud muffin. In addition to playing tough guys with an uncommon depth, but the man can write as well. Edgerton has just sold a new script, "One Night Stand," a dramedy that tries to take an honest look at the aftermath for the parties involved in the titular event, according to The Hollywood Reporter. Edgerton will serve as a producer on the film, but has no intention of starring in it. Before Edgerton starred in "Warrior," the best overlooked film of 2011, he and his brother, Nash, were making great films together in their native Australia. Their first feature, "The Square," was a tense and funny thriller evocative of the Coen brothers' "Blood Simple," which Joel wrote. You can next see Edgerton in the Sundance thriller "Wish You Were Here," and then he's got roles in Baz Luhrmann's "The Great Gatsby," and Kathryn Bigelow's film about the hunt of Osama Bin Laden. 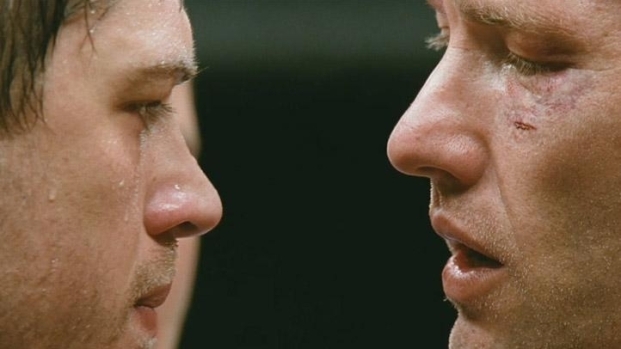 Tom Hardy and Joel Edgerton star as estranged brothers on a collision course for the MMA middleweight title fight. From "Miracle" director Gavin O'Connor, opens Sept. 9. But seriously, check out "Warrior." And don't ever mention "The Odd Life of Timothy Green."